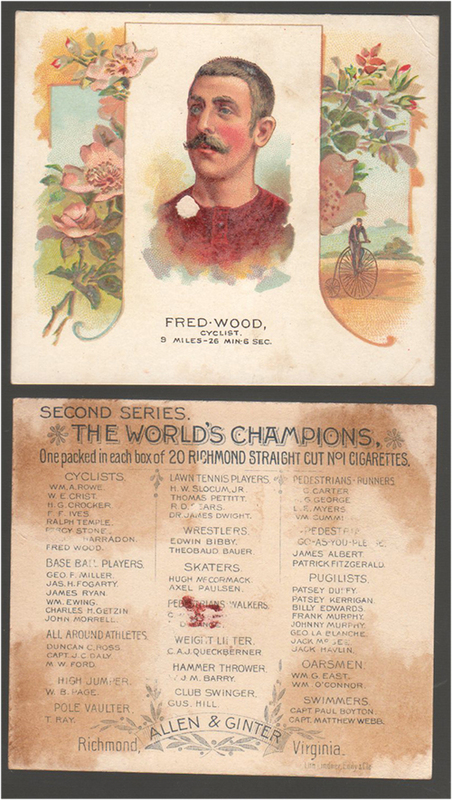 1889 Allen & Ginter N43 The Worlds Champions series. 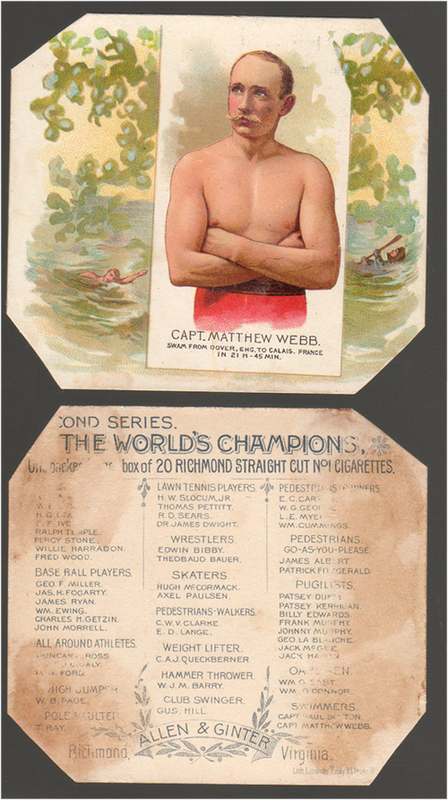 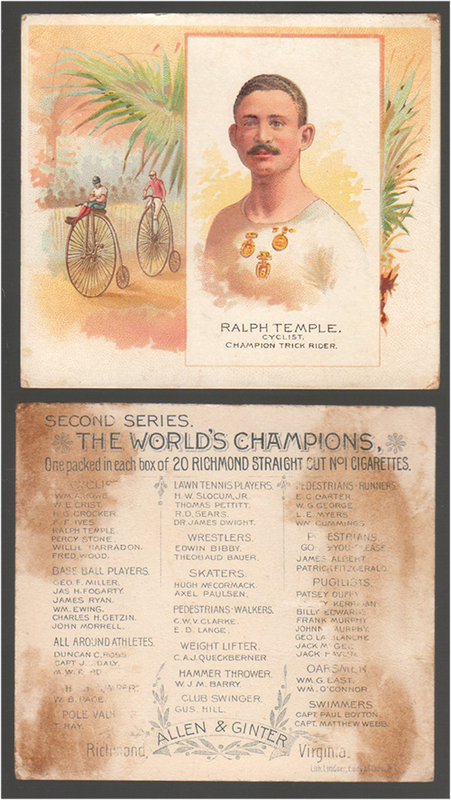 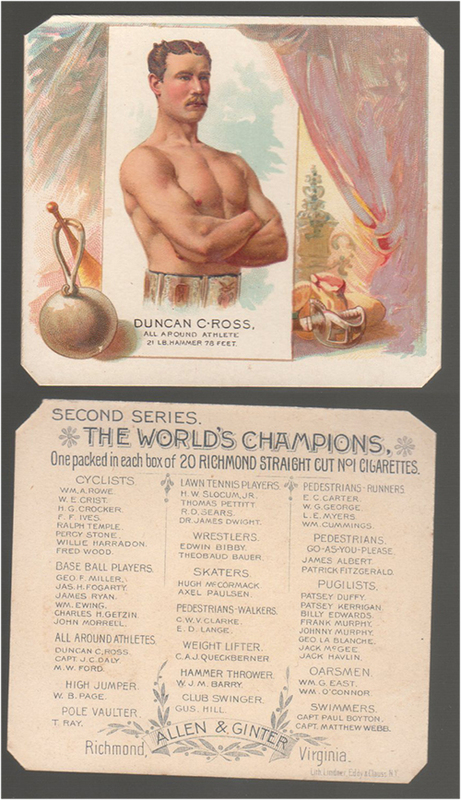 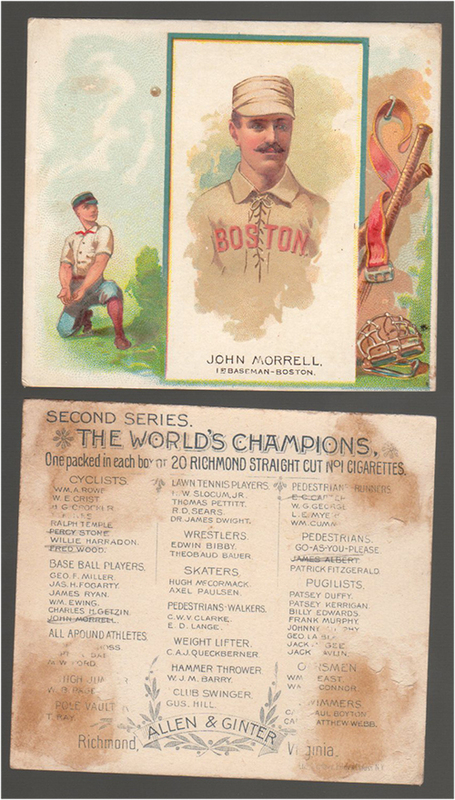 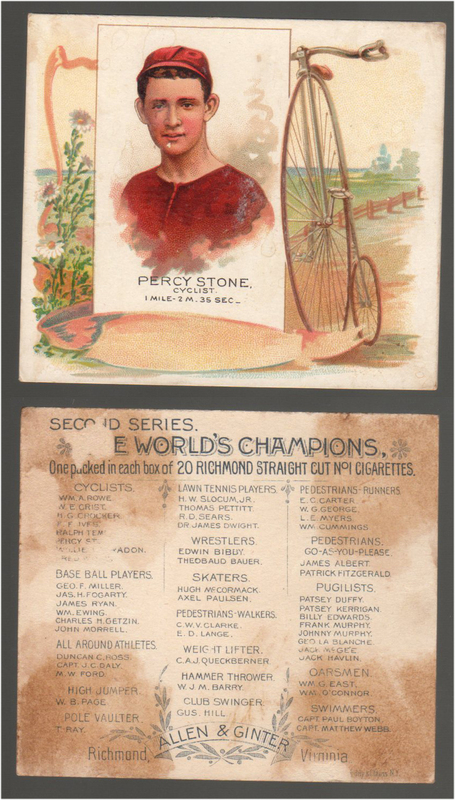 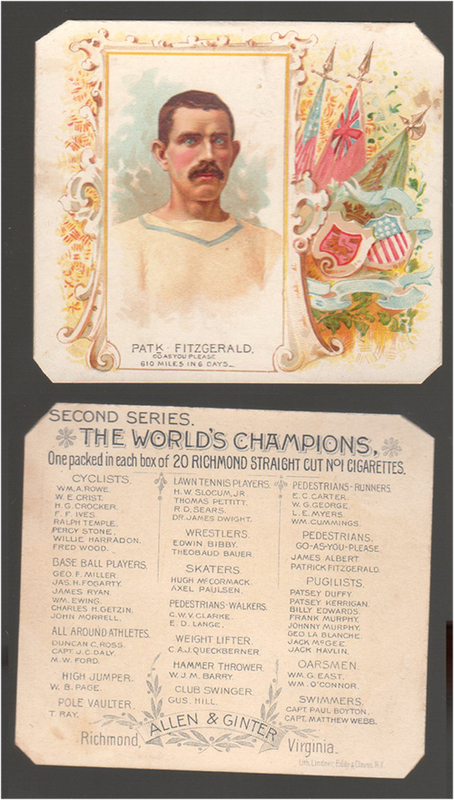 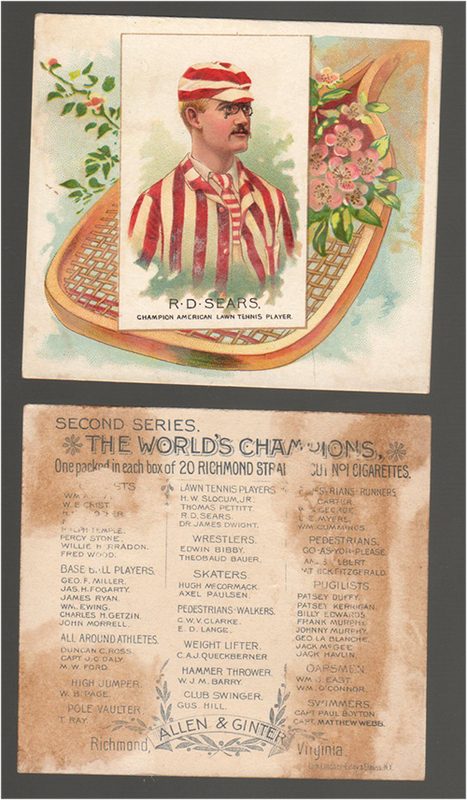 Issued by the Allen & Ginter Tobacco co., of Richmond Va., the 50 card set was the larger version of the N29 second series The Worlds Champions and have the same athletes. 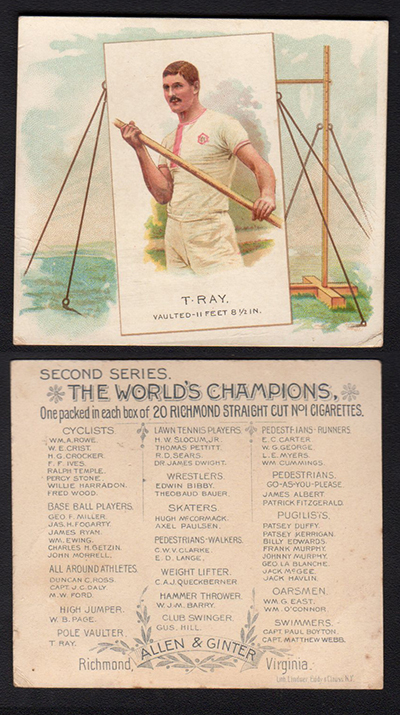 The cards measure 2-7/8" X 3-1/4". 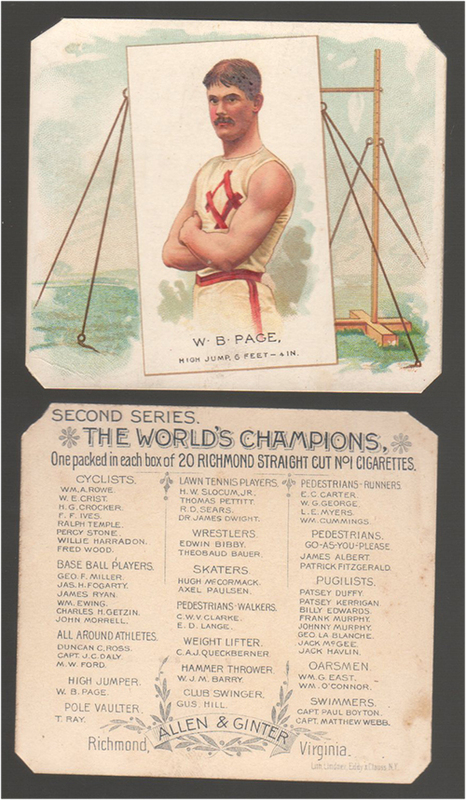 the set includes six baseball players, as well as many other types of popular champion athletes of the day. 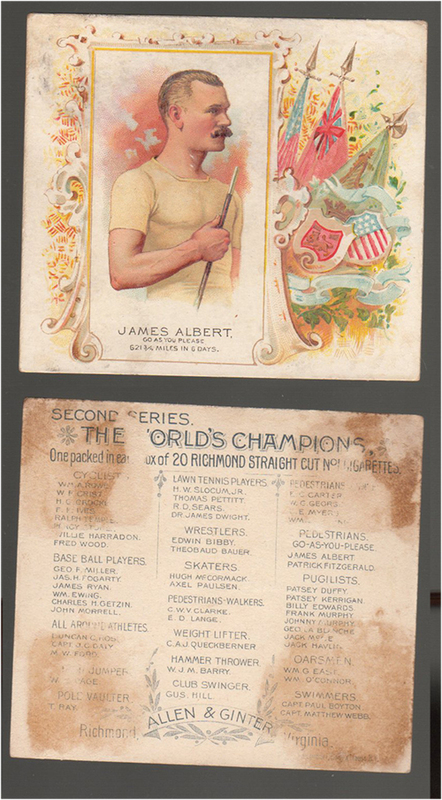 The cards feature a portrait with an action image and there is a checklist on the back.